Owen, I am an Easy Home Recording Blueprint owner and I am very anxious to view the new videos you have added for Blueprint owners this week. Thank you! P.S. I love Easy Home Recording Blueprint! 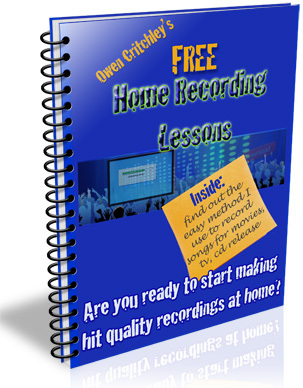 Owen, you have shown that you really care about everyone who uses the Easy Home Recording Blueprint. You are the real deal. Thank you for everything you share. Thanks friend, I feel like I can call you that, bro! - William (NC) Hi Owen. Thank you again for the Easy Home Recording Blueprint. I can’t wait to see the new step by step videos. The Easy Home Recording Blueprint method works just like you say it will. Dear Owen, I want to tell you that I am completely amazed by your method. I got started right away and it was one of those “turning point” moments when we know that our life is going to change. Your bonus lesson is below, but first just a quick note. A few days ago, I was chatting about recording and mixing bass and drums, and recording bass and kick, with a brand new Easy Home Recording Blueprint owner, and I’d like to share with you the actual conversation and the one on one tips they received. They wanted to get started recording their new song at home right away and were excited to use the Blueprint method, but they were a bit worried. They never had any luck recording and mixing bass and drums in the past and they wanted to talk to me before they started their first project using the Home Recording Blueprint Method. The conversation I had with this brand new Blueprinter shows the two most valued things for those who are already full Blueprint artists: Simplicity and stress-free communication. In other words, the Blueprint method provides a simple solution and personal feedback where no question is too big or too small. They were surprised and pretty pleased. So I sent them their special link and password to the step by step videos. The videos have just been added to the Blueprint method. There are now 16 videos and more being added all the time. Soon they’ll be part of the Deluxe Edition of the Recording Blueprint, but right now they are available free for all new Blueprint owners. So, for my free lesson subscribers, and for everyone else joining us here today, here are some of the simple tips on mixing bass and drums that I gave to the new Blueprint artist last week. I want you to see what’s it will be like to be a full Blueprinter and immediately ramp up the quality of your home recording to the next level fast… and simply. 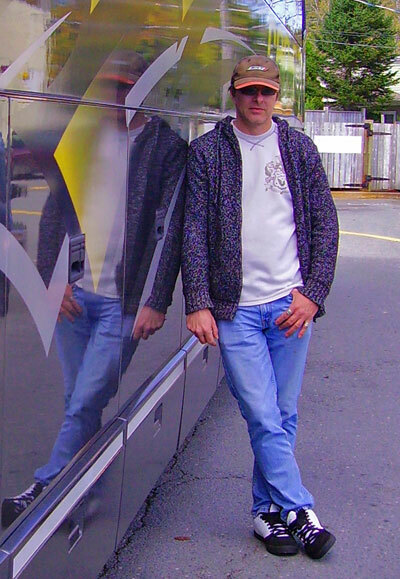 And, most of all, I want you to know what it will be like, when you have a question, that there will be someone that will answer you with simple, easy to understand tips that you can use right away so there’s do delay and nothing in your way, and you can start recording great sounding songs. Recording and mixing bass and drums the Easy Home Recording Blueprint way – Professional quality home recording made simple. producer, Owen Critchley and a brand new Easy Home Recording Blueprint owner. Q: Hi Owen, I just bought your Blueprint home recording method and I can’t wait to start. I have real trouble recording and mixing bass and drums. Especially the bass frequencies and the kick. Either it rumbles the whole room and you can’t hear the notes or I EQ it and they do get clearer but then they have no bottom end. Can you give me some tips before I start this time? A: Sure, don’t worry. We’ll sort you out. First of all I want you to stop thinking of your mix as the finish line. In other words, don’t try to make your mix sound like a finished record, because it isn’t. A record isn’t finished until it’s mastered. And a mix and a master are two very different things. If you can remember that you’re already 90% there. match what you’re hearing on a finished record. Remember, your song WILL sound like a record, but not yet. Not during the recording and mixing phase, and that’s good, because it isn’t supposed to. The main thing is to get whatever instruments that are supplying bass to your song recorded well and placed the way you want it in relation to the other tracks. And that part is easy. Just follow the Blueprint method. * So… let the bass rumble for now. Don’t start rolling off all kinds of low end or turning the volume way down in the mix. Everything is cool. We’re going to want those fat frequencies later. * Keep your playback volume at a nice normal level and you are placing the bass and drums in their place in the mix. In fact, make it habit as you’re working on laying tracks to keep your playback volume at a nice normal level. In other words, as I like to say, “Work smart, not Loud.” You can crank it up later, but just keep it real for now. * Now, we’ve got the bass, or kick-drum and/or other bass-heavy instrument recorded and we’re listening at a normal volume. 1. What part of the bass sound (frequency) do you want to highlight? 2. Do you want the bass guitar or keyboard bass to have a clear “attack,” i.e. a plucked sound? 3. Or do you want it “rounder” with less attack and less definition? * Call up your simple graphic eq in your recording software. * Most often, for bass instruments, you can start to roll off frequencies above 3000 KHz. And from 6 KHz – 20 KHz there is very little information up there (just hiss or “noise”) for many bass instruments so you can roll these frequencies all the way off. * For a “rounder”, less defined bass sound, roll off the “attack” or “pluck” frequencies and define the notes of the bass more in the 250 Hz to 700 Hz range. Every instrument or recorded track has sweet spots in it’s frequencies. In the Easy Home Recording Blueprint you will quickly learn to recognize and, more importantly, anticipate where the core of each of your sounds “lives” and eq and mixing becomes a breeze and your adjustments will become small, way less frequent and fast. As you are sculpting the bass tone (“color”) with your EQ tweaks, pan your bass sound hard right and pan the rest of the tracks hard left. This separates and isolates the bass from the rest on the tracks and gives you a clearer picture of your tone and EQ adjustments. After an adjustment, return everything (including the bass) to its previous panning position and hear how everything is working together. Q: Ok so we’re eq-ing and mixing bass and drums and they are now sounding the way I want and I have found their true “colors” as you say. But when I turn up the volume and listen to everything loud, the room is vibrating because my bass still sounds really… heavy. How can I get a nice thick bass without blowing out my speakers? A: Ok, don’t worry about that. That’s a good thing. That means you’ve got tons of sonic information to work with. And you’ve got a couple of choices, and you’ll like them both, because they are both really simple solutions. You see ultimately, the only thing that will tame your bass frequencies when eq-ing and mixing bass and drums is some kind of compression. And compressors are notorious for tripping up home recording artists. They can be a real pain if you haven’t had the chance to use them much. But the good news is that the Easy Home Recording Blueprint shows us exactly how to avoid getting bogged down and leads us straight to the only thing we care about: great sounding records. I’m going to show you what to do with those too-thunderous bass frequencies. But first… it’s important to remember this golden rule from your free Blueprint home recording lessons: The mix is not the finish line. Your recording is NOT finished until it is mastered. Ok? So, we do NOT want to try to make this mix sound like a master. For more about this, see the Blueprint bonus lesson on Mastering Tips. *VIDEO* – I’d like to share a video I made for Easy Home Recording Blueprint owners. The video below shows some very simple recording techniques for a song I produced for a film project, using free plugins and no extra equipment for the whole project, including recording bass and kick and then mixing bass and drums for a song I produced for a film project. Picture having access to video resources like this right now. Not just one video, but many short simple videos like this leading you step by step, directly to the finish line of a professional quality home recording of your own. No distractions or frustrating technical problems, just a “Copy-Me-As-You-Record” method you can rely on to blow your listeners away. * Bring up your simple graphic equalizer. Not a targeted EQ like a parametric or severe band-pass type filter (at least at first); just use your simple graphic EQ. * Roll off all frequencies from 20 Hz and below. That will tame most of the room-rattling tendencies of your bass. OR… if the 20Hz adds a “certain something” that you happen to like in the tone of your bass or your kick sound, then in that case, just use the graphic EQ simply to roll off un-necessary high frequencies in your bass or kick sound. However, in this instance you should probably at least use a targeted “band-pass” filter plugin to remove the absolute lowest frequencies that are outside human hearing anyway. These sub-sonic frequencies eat up headroom that the mastering process will need later. See video for more. * At this point you have a choice. You can stop there, realizing that the mastering engineer will easily tighten and define your low end with his array of targeted EQ’s and compressors, or if you still have a spike in the bass that shakes the room, you can look for a peak in the 80Hz to 120Hz range. If so, make very delicate adjustments on your graphic eq until the worst of the “boom” is tamed. * Now set your volume of your bass or bass type instrument in your mix. Remember a good mix should actually be a little dull and a little bit quiet. That’s right. You’ll see. It should NOT be trying to do the job of a “mastered” mix. A good mix should be prepared always with the mastering process in mind. I’ve got a video just waiting for you that shows the transformation of a properly done, and simple to do mix in the brand new Easy Home Recording Blueprint’s “Copy-Me-As-You-Record” video section, that shows this simple technique in action. If you grab your copy of the Easy Home Recording Blueprint method today, you will earn yourself an incredible opportunity. Absolutely free, LIFETIME access to these step by step, copy-me-as-you-record-your-hit videos. Combined with your copy of the Easy Home Recording blueprint, you WILL be good to go. Starting today. Your next recording can be great. Ready to take that step? Remember, I’ll be right here any time you have any questions. Become a Blueprint Recording artist.